Kenny (31) arrived from Sri Lanka, having come to Germany to further his career as a musician. He rents a spare room from Rola. 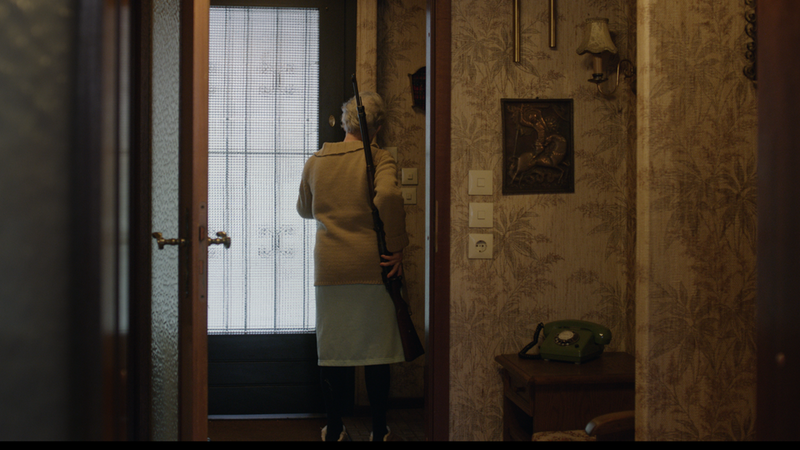 Rola (80) lives alone on the outskirts of Berlin, where she sometimes needs to protect herself by carrying a gun. In living together these two different individuals find that life is not merely dependent on personal security, instead discovering the possibility that our dreams may define our true reality. Oswaldo Diaz Medina was born in 1980 in Lima/Peru. He studied Communications at the University of Lima and Audiovisual Production at the Autònoma University of Barcelona and currently studies Directing at the German Film & Television Academy Berlin (DFFB).